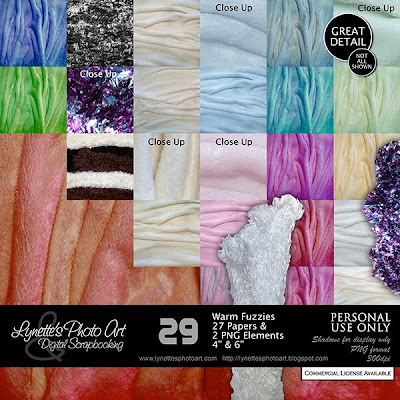 Warm Fuzzies is overflowing with snugly soft things for baby and cold weather LOs; 2 PNG elements and 27 luxurious papers in neutrals, pastels, brights and sumptuous multi-colored confections! $4.99 in my PayPal store. Click the image to enlarge - the detail is a must see. Click Buy It Now button below the preview to purchase. Today I'm giving you a word art made with a piece from this kit. Enjoy. Thank you so much for this Freebie. I want to let you know that I posted a link to your blog in CBH Digital Scrapbooking Freebies, under the Page 8 post on Oct. 13, 2009. Thanks again.